How Will Medical Devices Be Impacted by USMCA? Since President Trump took office in January 2017, many policy changes that affect the medical device industry have been enacted– the latest one being the renegotiation of the North American Free Trade Agreement (NAFTA), which has been renamed the United States-Mexico-Canada Agreement (USMCA). Although “NAFTA 2.0” is predicted to have an overall negative impact on trade between the three parties, the medical device industry may benefit from the new agreement. If ratified, USMCA will allow for various, and presumably beneficial, changes to be made within the medical device industry, including the execution of quality audits across borders and improved device reimbursement rates, which could allow for more timely approval/rejection notification. The participating countries will also be able to set their own definitions of a medical device. Additionally, unlike NAFTA, the USMCA includes a special annex for medical devices, which may allow for more harmonization between the regulatory compliance standards of each participating country. 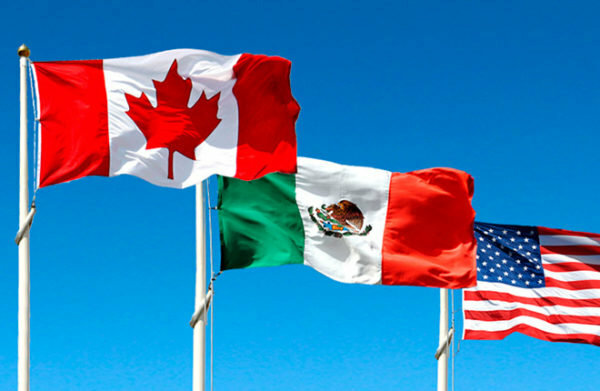 The US, Mexico, and Canada have put an emphasis on working together to decrease the processing time for regulatory approvals by analyzing their own regulatory requirements and coordinating them to minimize redundant requirements and efforts. The creation of a method to fix device labeling issues at the port of entry, instead of requiring that the product be sent back to the exporter and the process be restarted. Another problem addressed by the USMCA is the mismatch between the intellectual property standards and protections of each participating country. While the US and Mexico have strict measures in place to protect the intellectual property of medical device manufacturers, Canada’s protections are much less stringent. Therefore, the new agreement is requiring that all the three countries either adopt the Patent Law Treaty or create procedural standards that are similar to the Treaty’s objectives. By abiding by the Treaty, the participating countries will be able to nullify or revoke patents that are involved in some form of fraud or provide misleading information to patients, as well as make amendments or corrections to patents. It is currently unknown whether the new agreement will be able to loosen the non-tariff barriers for US-based companies that want to export to Canada and/or Mexico. But anything can be solved by using ours amazing product.